I know the gear that a hunter uses doesn’t automatically make him or her successful, but it sure doesn’t hurt! Gear can play a huge part in how well the hunting experience goes. I’ve only been collecting my hunting equipment for a short amount of time, so I don’t have an extensive amount available to me. But the most important items I do have for archery surely help me be a better, more prepared huntress. My last post was on my bow choice, so I won’t be touching on that right now. I’ll just be going over the important things I use, which are the most important things for any archery set up. This Christmas I was gifted a pair of binoculars! A fancy pair, the Vortex Talon HD 10×42. I’ve always shared a pair, which means I was always the last to see whatever was in sight. Finally I can have my own glass, this glass is crystal clear and I’m gonna have years and years of use from these. I’ve also always had to share the rangefinder with my husband. At least it’s something only one of us need at any certain time! Still, that is the first thing on my list to buy this summer, for the times we hunt separately. Before I get out in the field this Fall, I will have one of my own. Throughout summer I often take the rangefinder along when I hike, so I can learn yardage better out in the field, not just on the range. Currently I am loving the Rush 5 pin from Black Gold. The pins adjust their lightness depending on the brightness of the day, which is great so it’s not difficult to see the vitals if it’s too bright. In low light the pins are very easy to see, and adjusting the sight is simple. Another reason that I love them, besides that the sight performs amazingly, is that they are a Montana Company, and I’m all about supporting Locals! I currently have Carbon Express, Mayhem250 Hot Pursuit Arrows. I bought 6 arrows two years ago, but I’ve only got three left–two of them went through rib cages–so I’ll be researching and deciding what I want to get for my new dozen for this year. There’s plenty of opinions on broadheads out there, and I don’t have a strong opinion on them myself. I only know what has worked for ME so far. I had great success with a bull elk and a whitetail buck with the RAGE Hypodermic 2 blade, 100 grain. Those things did some damage, and did it quick. I would like to research what others use, and see why they use what they use. I’ve been using the Scott Archery Hero release since I started shooting. I have never had an issue with it. This is an area this summer I might look at different releases, to see if the Hero is still the best fit for me. 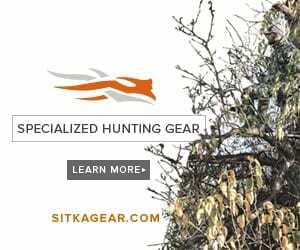 All aspects of hunting gear is continually changing and becoming better, so if something more advanced comes out and it makes sense for me to upgrade, I’m all for it. Keep in mind, this is just what I currently use for archery, this setup has worked great for me so far, but I’m not dead set on any one brand or products. I’m always going to be looking to better the hunt with the gear I use. Throughout the year, I put away money that goes to my “Hunting Gear” savings. This savings is for any new gear I would like to add to my hunting tools. I have wants and needs for gear, so prioritizing the list is important, to ensure I get what best suits my hunting needs at the time.